3DS game dated in latest issue of Weekly Famitsu. 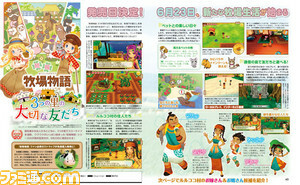 Story of Seasons: Good Friends of Three Villages will launch for 3DS in Japan on June 23, the latest issue of Weekly Famitsu reveals. 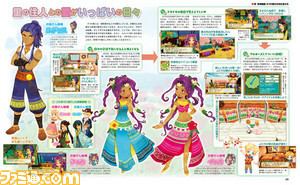 The magazine features a new preview of the game introducing the people, including marriage candidates, of the tropical “Lulucoco Village,” one of the game’s three villages players will be able to visit and make friends.